The University of Alaska is committed to working closely with all federal and state agencies and private enterprise to further develop collaboration and new exposures for future growth in all areas of science and technology. The duties of the Vice President for Academics, Students & Research, directs a division of services including Academic Affairs, Research, Corporate Programs, Student Success, Health Programs, and Distance Education. The Vice President works with the UA campuses on academic and research initiatives and collaborations to promote research in Alaska. Research Associate Professor Katey Walter Anthony and a research assistant set fire to escaping methane gas trapped beneath the ice on a pond near the UAF campus. Shalane Frost, a research assistant with UAF's Institute of Arctic Biology, uses an iPad to enter data regarding permafrost core samples. University of Alaska Anchorage students host a debate against University of Yale students. Professor and student use a Bunsen Burner on the campus of the University of Alaska Anchorage KPC. Idaho State and UAA's new Pharmacy partnership creates a home in Anchorage. The Board of Regents, pursuant to Regents’ Policy 10.06.010.C, directed President Johnsen on March 1, 2019 to conduct an expedited exceptional review of the educator preparation programs at the University of Alaska Anchorage (UAA) focused on: the viability of maintaining programs at UAA and seeking CAEP accreditation beginning 2020; providing programs in Anchorage through the accredited programs at UAF and UAS; and evaluating the long-term viability of programs unaffected by the CAEP accreditation revocation. Dr. Brandon Briggs,et al:"Advancing Microbial Resources for Mining Alaskan Critical Elements"
Dr. Jaunelle Celaire, et al: "An Evening of Mozart"
Dr. Scott Christian, et al: "Culturally Responsive Professional Schools for Alaska"
Dr. Jason Fellman, et al: "Quantifying hydrologically-driven lateral carbon fluxes in Alaska’s coastal temperate rainforest "
Dr. Micah Hahn, et al: "Development of the Municipality of Anchorage Climate Action Plan through a Campus-Community Partnership"
Dr. Anayansi Lombardero: "Addressing Insomnia in an Effort to Prevent and Reduce Cardiovascular Disease Risk Among Alaska Natives"
Dr. Sarah Stanley, et al: "Learning Across, Inside, and Out: Mobilizing State and Community Learning Networks From the Prison to the University"
Dr. Charlene Stern, et al: "Strengthening Inter-university Indigenous Scholarship and Alaska Native Student Success at the University of Alaska"
It’s early December and the last day of capstone class for Associate Professor of Environmental Studies Shannon Donovan and her group of about 25 students. She leads the group in one final lecture before exams and students scatter for the holiday break the following week. It’s been a busy fall semester for these juniors and seniors, who on top of their required capstone coursework, had a unique project to add to their university experience and resume. These students, mostly environment and society majors, have been working on the Municipality of Anchorage’s (MOA) Climate Action Plan (CAP), and may potentially see the fruits of their hard work turn into actual city policy that will help Anchorage residents. NASA has awarded a $48.6 million contract to the University of Alaska Fairbanks to continue operating the Alaska Satellite Facility’s synthetic aperture radar data center at the UAF Geophysical Institute.This is a competitive renewal of a previous contract. The new contract will be in place through Sept. 30, 2023. The Alaska Satellite Facility has archived about six petabytes of SAR satellite data, and the volume is growing at a rate of about two petabytes a year. The facility gathers much of the data using antennas on the Fairbanks campus and at a site on the Richardson Highway south of Fairbanks. university students nationwide are determined to search for viable, nonpartisan solutions to address the country’s debt crisis through the Up to Us Campaign, a nationwide, campus-based program that allows students a platform to engage in collaborative dialogue over this contentious issue.UAA’s Center for Community Engagement and Learning (CCEL) Public Service Scholars (PSS) are hoping through education and creating an open conversation with their peers and community members, that Alaskans will understand the consequences of the growing national debt, and what it means for the 49th state. 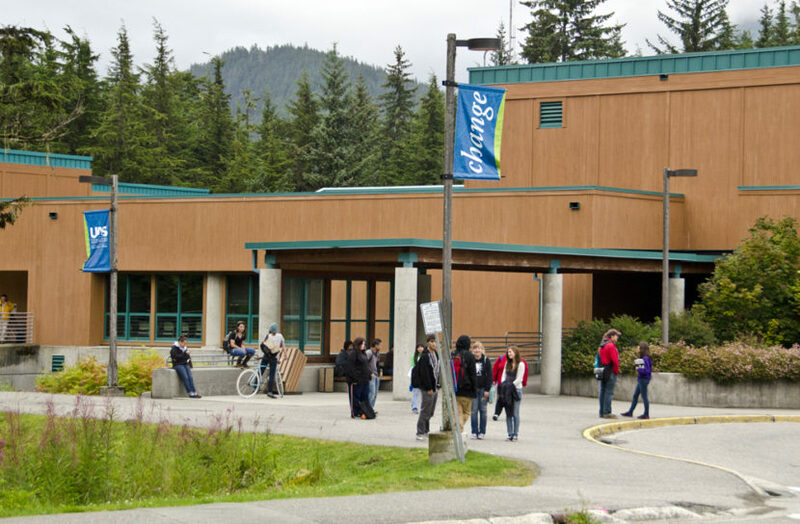 For the third year in a row, the University of Alaska Southeast (UAS) is offering the UAS Verna Carrigan Promise Scholarship for talented Southeast Alaska high school seniors planning to attend UAS’ Juneau Campus full-time in the fall. The special focus of this scholarship is on students who may not have the highest grade point average but who’ve overcome significant challenges in life and who are motivated to succeed. UAS is reaching out to Southeast Alaskan high school principals and guidance counselors, superintendents, and other adults to share this opportunity with prospective recipients and encouraging them to apply by the February 15 deadline.